New York’s long been one of my favourite cities. I first visited 20 years ago and it made a huge impression. It was my first trip outside Europe and felt a million miles away from home. Seeing iconic sights like yellow cabs, steam through subway grilles, towering skyscrapers and Times Square’s neon lights felt like walking onto a film set. I couldn’t get enough of it, and still can’t – I’ve been back five times since and need another New York fix soon. But like many world-class cities it can be expensive. So here are my tips on making the most of New York on a budget. A big part of what makes New York so great is its atmosphere, and you can soak it up for free by walking the city streets. 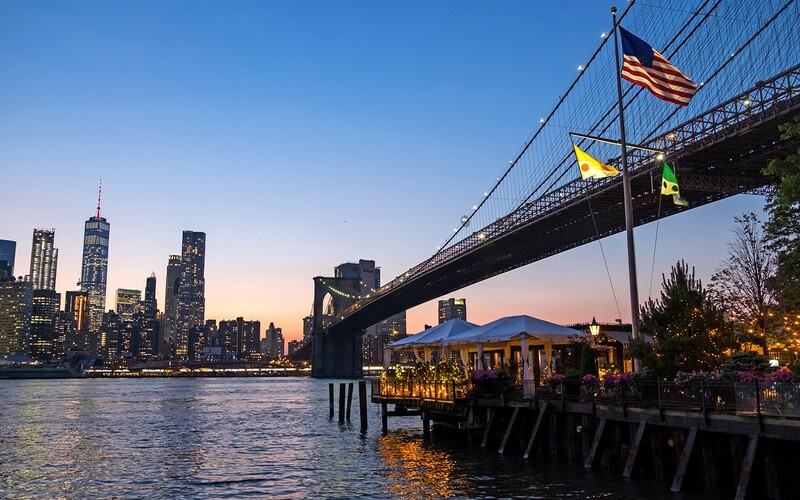 The changing feel as you move through the city’s neighborhoods – Harlem, the Upper East Side, Soho, Chinatown, Greenwich Village, Little Italy and the Meatpacking District – makes it feel like visiting lots of different cities in one. And that’s before you get out of Manhattan and start exploring the city’s other boroughs. 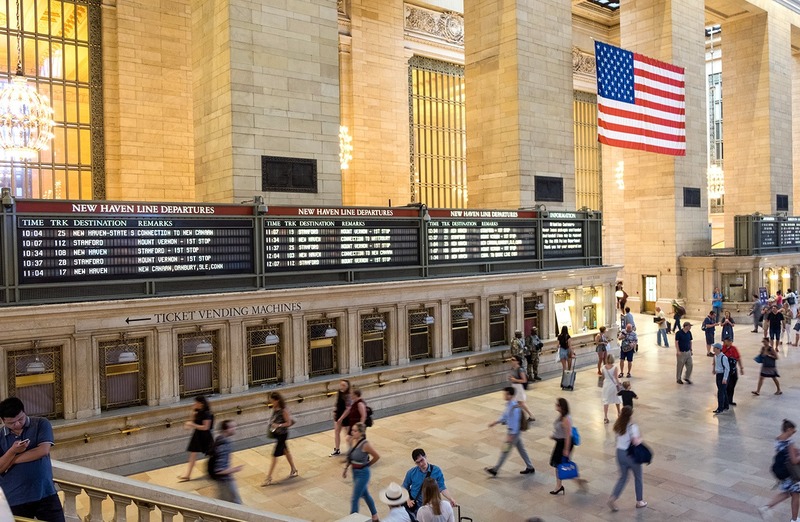 There are plenty of famous New York sights you can visit for free – Times Square, the New York Public Library, Grand Central Station and St Patrick’s Cathedral. There are also the parks. As well as enormous Central Park there’s the High Line on a old elevated railway track, Brooklyn Bridge Park and lots of small neighbourhood parks. NYC Parks hold free or low-cost events throughout the year, like concerts, exhibitions and films. Friends of the High Line also run free guided walking tours about the park’s history, design and horticulture – check their calendar for dates. For other New York tours, Free Tours by Foot run a variety of walking and cycling tours. They cover lots of different neighbourhoods as well as themed tours like a Greenwich Village food tour, a street art tour and a Broadway ghost tour. Tours are free but you tip your guide what you think it’s worth. Grand Central Partnership also run a 90-minute free walking tour of the area around Grand Central Station at 12:30pm every Friday. 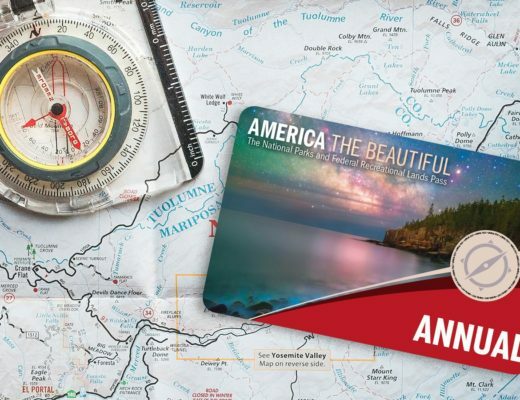 Or you can get your own private guide through the Big Apple Greeter scheme, which matches tourists with local volunteers who show you around their personal New York highlights (book 3–4 weeks in advance). If you want to visit the big-name – and most expensive – attractions like the Statue of Liberty and Empire State Building, it might be worth investing in city pass. There are several different versions available. The New York City Pass covers entry to six top attractions for $126 ($104 for children aged 6-17), including skip-the-line access. The same company also do a C3 Pass where you choose three places to visit from a list of 10. There’s also the New York Explorer Pass which covers 3–11 attractions for $89–$219 ($67–$169 children). Or the the New York Pass with entry to over 100 attractions over 1–10 days from $125 ($94 children). Entrance fees to New York’s big museums are normally around $20–$25 per person, but there are ways to save. Some museums have certain times when you can pay what you wish – like the Guggenheim (5pm–7.45pm on Saturdays) and the Frick Collection (2pm–6pm on Wednesdays). There’s also free entry to some museums on certain days of the week. 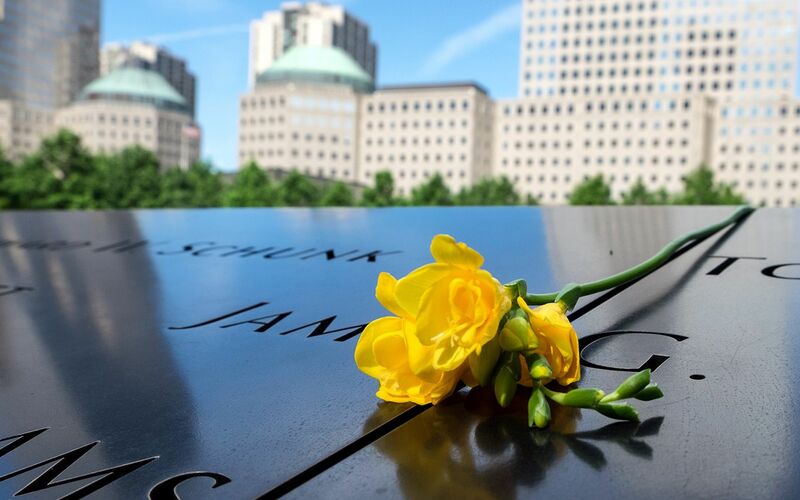 The 9/11 Memorial and Museum is free after 5pm on Tuesdays, the Museum of Modern Art and the Museum of the Moving Image are free from 4pm–8pm on Fridays, and the grounds of the New York Botanical Gardens are free to visit on Wednesdays and from 9am–10am on Saturdays. Many smaller museums are free all or part of the time too – you can find a full list here. Some of New York’s other museums have a suggested donation rather than a fixed entry price. So if you’re happy to brazen it out and offer less, you can save on the usual entry cost for the American Museum of Natural History, the Brooklyn Museum, the Museum of the City of New York and the Queens Museum. You can also see art for free by browsing the galleries that fill converted lofts and warehouses in Chelsea. For Broadway on a budget, pick up discounted theatre tickets at TKTS booths which sell same-day seats for up to 50% off. Their Times Square booth has big queues, but there are quieter branches at South Street Seaport and in Brooklyn. Or check out the next generation of actors, dancers and musicians at free performances by students from Juilliard performing arts school. The observation deck of the Empire State Building might be New York’s most iconic viewpoint, but it’s pricey at $54 to go right up to the 102nd floor. The Top of the Rock viewpoint at the Rockerfeller Centre might not be quite as tall but it’s a bit more reasonable at $36 and you get the bonus of a great view of the Empire State Building while you’re up there. Or get a drink to go with your view at one of the city’s rooftop bars. Many are attached to fancy hotels, so you have to fork out for a room or run the gauntlet of bouncers and cover charges. But 230 Fifth has a big roof terrace bar on Fifth Avenue that’s open to anyone. It’s the city’s largest rooftop patio, overlooking the Empire State Building with patio heaters and blankets in winter. There’s also a rooftop terrace at the Metropolitan Museum of Art with great views over Central Park. The Cantor Rooftop Garden Bar is open from mid-April until October, 11am–4pm on Sunday to Thursday and until 8.15pm on Fridays and Saturdays, serving cocktails and light food. Nearer to the ground, there are spectacular views across the water to lower Manhattan from the Brooklyn Bridge and the park at the end of the bridge. Or you can look out over the Statue of Liberty from the esplanade at Battery Park City down at the tip of Manhattan. 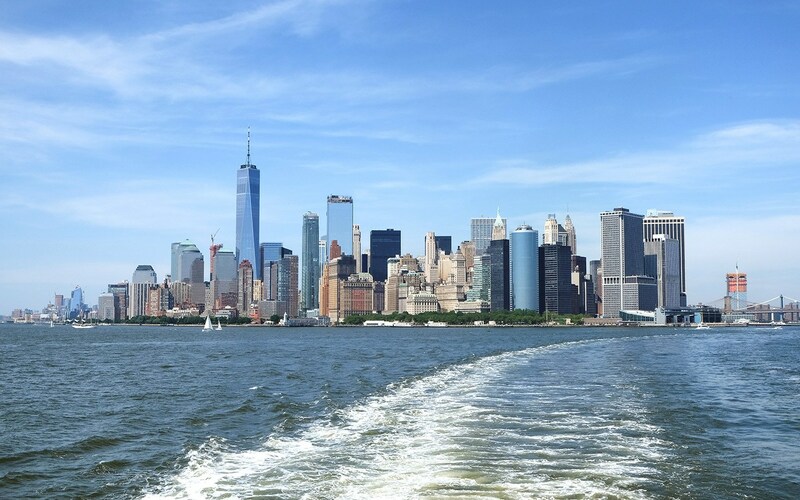 If you want to get a closer view of Liberty you need to get out on the water, but you can have a free boat trip across the harbour by taking the Staten Island Ferry. This service shuttles between Manhattan and Staten Island 24 hours a day, taking 25 minutes to travel each way. If you’re looking to eat out on a budget, here’s 50 places to get you started, spread across the city. You can also save by getting food to go – from breakfast bagels and pretzels to pizza slices and deli sandwiches. The food truck scene is also really big in New York, serving street food from around the word. They move around but you can track them down is on using this site. You can also find plenty of food trucks at the city’s food markets. The biggest is Smorgasburg in Brooklyn with over 100 stalls, which takes place between April and October from 11am–6pm at the East River Park in Willamsburg on Saturdays and in Prospect Park on Sunday. There’s also the Hester Street Fair in the Lower East Side, which also takes place on Saturdays from 11am–6pm between April and October, as well as smaller Urbanspace markets around the city. If you like beer, you can take a free tour at the Brooklyn Brewery. Tours run every half hour from 1pm–6pm on Saturdays and Sundays. You can also buy their draft beers for $6, and can bring your own food or order takeaway in for delivery to the brewery. Or on Monday to Friday they run more in-depth, 45-minute small group tours at 5pm, 5.30pm, 6pm and 6.30pm which cost $18, including four beers and a souvenir glass – make sure to book in advance. New York is a great city to walk around, but it’s big, so the best way to get around is on the subway. It runs 24 hours a day, seven days a week and costs $2.75 for a single journey or $32 for a seven-day MetroCard, with unlimited subway and bus journeys. You can also use your Metrocard on the Roosevelt Island Tram – a cable car which has fantastic views across East Manhattan and the East River. It leaves from the station at 59th Street and Second Avenue. Travel to and from the airport can be expensive, but there are lots of public transport options. You can get to JFK using a MetroCard – take the A train to Far Rockaway to the Howard Beach/JFK Airport stop (about an hour) then the AirTrain to the airport (15 minutes). You can get to Newark and La Guardia airports using subway, bus and train combinations too. A more energetic way to see the city is with a Citi Bike. You can borrow bikes from over 750 docking stations around the city. It costs $12 to access the bikes for 24 hours – or $24 for a three-day pass – then you can make as many journeys under 30 minutes as you like for free. 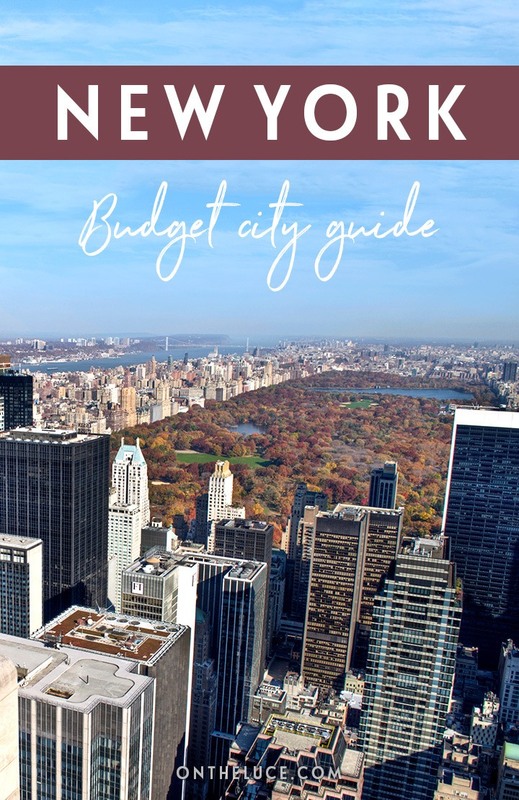 So those are my tips for seeing New York on a budget – do you know of any more New York bargains or have any money-saving tips? Looking for somewhere to stay in New York? I’m sure you’d love it Kathryn – such a vibrant city and so many photo opportunities out there! It’s so strange to see it in real life as it’s on so many TV shows and films it looks like you know it already! Haha! I guess tv give you hints on what to see which sometimes it gives you excitement. 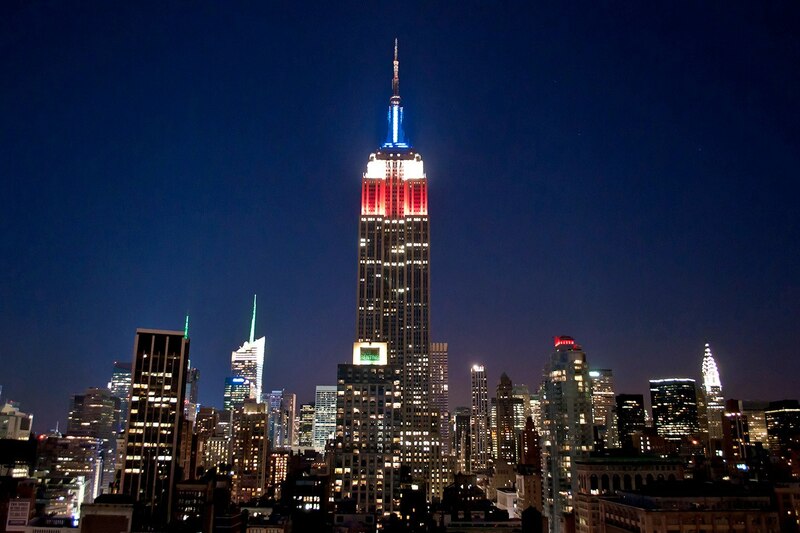 I wanna visit that place someday.. enjoy your visit in New York! What a fantastic resource you have created here. I will definitely be using it if we ever make it to NYC. Thanks for sharing! Thanks Alison, hope it comes in useful if you do take a trip to New York sometime! Oh wow. I’d LOVE to go to NY. One day I hope. Great source of info. Hope you do get to make the trip out there sometime, it’s such a fantastic city. hi lucy, wow i love your new format on your blog and your photos really pop!!! yes i love nyc and i am going again this december for 6 days so i am really looking forward to it again. Thanks Michelle, I thought it was time for a bit of a design refresh! Hope you have a fantastic trip to New York, I’ve always wanted to see it in winter with the Christmas decorations and skating rinks. Awesome tips! I love New York and the biggest obstacle to visiting often is that I tend to bleed money while I’m there – not on the next trip thanks to you! Thanks – yes it’s such an easy place to splash the cash, I have to keep away from the shops and try to limit my cocktail bar visits! Love the shots and definitely very good tips. Thank you for sharing! Thank you – I love photographing New York, there’s almost something going on or some interesting detail to capture. Those are some very good tips. When I went several years ago, we stayed a hostel up near Harlem and ate at a pizza by the slice place for cheap. The $30 metro card is a great tip – subways will get you almost everywhere you want to be there. Thanks – I stayed up in Harlem last trip too, in a rental apartment, and it was so much better value than staying in Manhattan. Next trip I’d like to stay in Brooklyn too to get a different perspective on the city. Excellent, I might take you up on that! Feel like I might need another New York fix before too long. Thanks – New York is a great place for photography, so much to see and so much going on. Hope you do get to make the trip out there soon! Great advice. Contrary to what so many think, NYC doesn’t have to be expensive. Brooklyn Brewery is one of my favorites. Thanks – I’m hopefully going to stay in Brooklyn on my next time out there and explore a bit more of the area, there’s always so much to discover in New York. 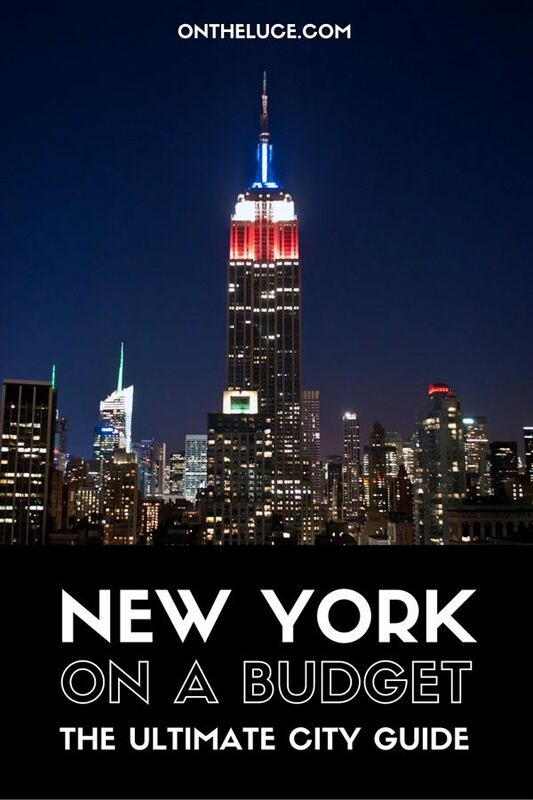 Fab guide – it’s been far too long since I was last in NY (18 years) this has made me want to book up now! Excellent tips – I’ll be bookmarking this. Yes writing it made me want to go back again soon too, it’s one of those places I could go back to again and again and never get bored of. Hi Luce! Great post, I haven’t been in NY in a long time and you have some really good tips. I especially like the cheap museum ideas and the top city views (because I love taking photos). Thanks Frank, I love climbing up somewhere high for a great view too, it’s one of my favourite things to do in a new city! This has been so helpful! I am planning a couple of days in New York next month and didn’t really know where to begin. Thank you for your advice and insight!! Hope you have a great trip and that the tips come in useful! I’ve been in love with New York since the days I used to watch the tv sitcom Friends. I’ve only visited once, but I was staying in New Jersey so only spent a day in the city. I would love to go again soon, spend a couple days there exploring some of the popular attractions. This post, as well as the other ‘on a budget’ posts are very useful and I will definitely look back to them the next time I travel. Also, the pictures are spectacular! The central park picture looks so surreal. I’m sure there’s a whole generation who got to know New York through watching Friends! Hope the tips come in useful when you do make it out there. 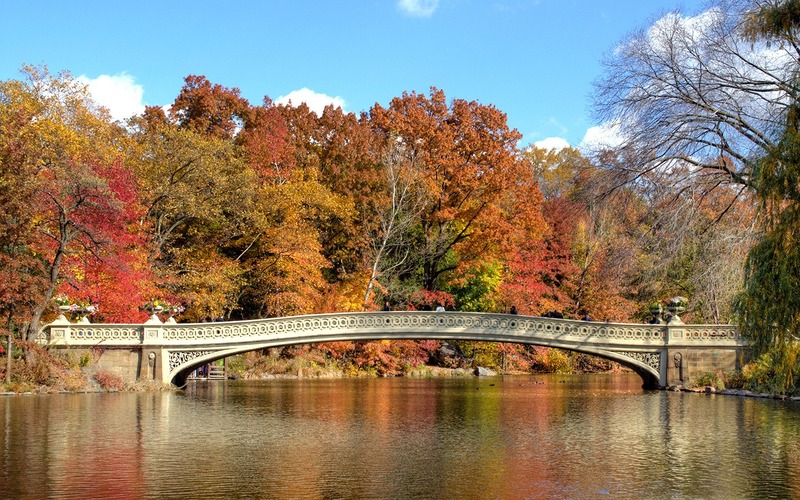 This time of year is a fantastic one to visit – those colours in Central Park were just spectacular! Great write up! I wish I had these tips when I visited last year. It’s very easy to spend money in New York. It is isn’t it – I have to make sure to stay well clear of the shops and cocktail bars if I’ve any chance of staying in budget! I just moved to New York 2 months ago and I can only agree with you: It’s super expensive but there are quite some possibilities to save money just like your tips suggest. I love Central Park because it gives you so many possibilities to do stuff for free (or at least cheap) outside like picknicking, exploring the park by bike or on rollerskates or just wandering around watching all the musicians. I can also really recommend to sign up for groupon or giltcity before coming here. Those two platforms always have great deals and you can save a looot of money (e.g. on renting bikes, city tours, restaurants or even spa’s). Thanks Mirja, and congratulations on your move to New York, it’s an amazing city! Central Park is fantastic, there is always something going on. And great trips about the voucher sites, I’ve used them at home but never for travel so will give them a try. A super guide that would have been very useful before our recent trip! One of my highlights of our visit was the Highline. Loved it. I could have spent much longer there. We walked our socks off that day, starting at Central Park and ending in Soho via the Highline, West Village and Greenwich village then visiting NYC campus and Washington Square on the walk back. I would just add a caveat about the CityPass. The puff says it allows you to skip most queues but we found that was largely untrue. It was particularly frustrating at the Natural History museum having to queue with people buying their tickets, just so we could present our ticket to the desk. The queues for the Statue of Liberty and Ellis Island boats, there and even worse back again, were so unpleasant I think I would choose the boat tour alternative with hindsight. Or the a Staten Island ferry, as you suggest – even better. Hope you had a good trip. The High Line is one of my favourite spots, such a good way of using the space. Know what you mean about walking, I always end up doing miles every day in New York. And thanks for the City Pass tip. Great tips here, thanks Lucy. So many things I need to check out before I start exploring tomorrow. Hope you have a fantastic trip – look forward to reading about it! Reblogged this on Woman on the run. Great picture choice and great tips! NYC in February! Is it too restrictive? I’ve never visited in February but have in early winter and although it was cold we had bright sunny days – you do run the risk of getting hit by snow though, which would make it very pretty but harder to get around! Thanks so much for this post Lucy! I’ve found it so useful! I was wondering whether you had any suggestions about places to stay in New York? You’re very welcome! I usually stay in apartment rentals in New York (though for the best deals you usually have to go outside Manhattan) but for good budget hotel options you can try Citizen M, The Gershwin, The Jane, Aloft and Z Hotels. I was in New York last year to visit my friend and I fell in love with this city. That is why I decided to move there. I already found a job and now I am packing my stuff. Wish me luck! How fantastic! I would love to live in New York for a while someday. Hope it all goes well for you. Autumn’s a great time to visit – my last trip was in October a few years back and the tree colours were fabulous. Hope it comes in useful – and have a fantastic time, it’s such an amazing city! You’re very welcome, hope you have a fantastic trip! Thank you for this. Will be visiting in 2016 March. Will surely use your tips! That’s great – hope you have a brilliant time! thank you so much for sharing this. Must gonna visit New York soon. It’s an amazing place – hope you get to visit soon! Many thanks for an excellent blog. I just wondered if anyone could provide any advice on reasonably priced hotels? I am there for 3 nights in June and just overwhelmed by the number of hotels there are to choose from! Would anyone be able to recommend any nice hotels that are reasonably priced? 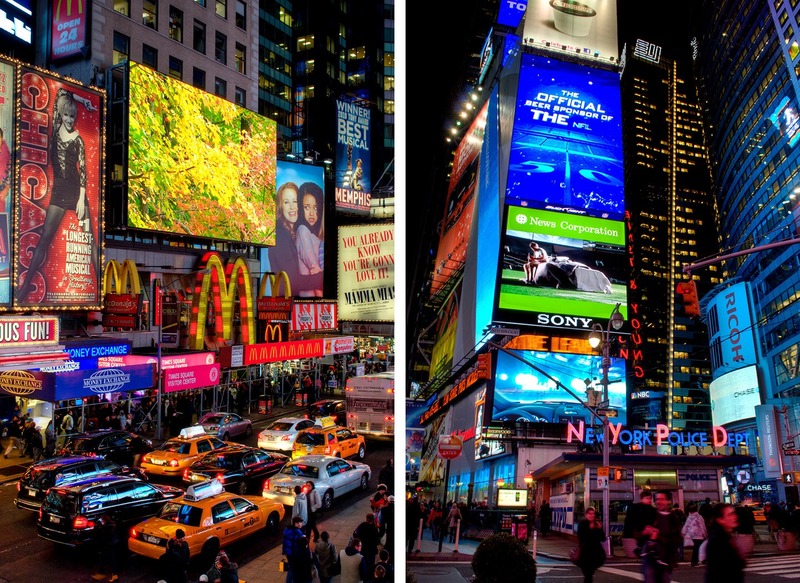 I would like to do all the usual things while I am there: catch a show, dinner out, Times Sq, Empire State etc. Any advice would be hugely appreciated. The range of hotels in New York is just crazy! I stayed in an apartment in Harlem on my last trip – if you are willing to stay outside of the centre you can get a good deal and the subway is very quick. Otherwise these budget places have all been recommended: Citizen M, The Gershwin, The Jane, Aloft and Z Hotels. Hope you have a great trip. We’re about to visit in NYC for 8 days in October and you gave great tips. When do you think I should book an hotel/ apartment? New York hotels aren’t cheap unfortunately! The best deals are usually as far in advance as possible or last minute (though that’s a bit risky). The Citizen M, The Gershwin, The Jane, Aloft and Z Hotels are good value. Or you could try an apartment rental, especially as you’re staying a while. If you’re ok staying out of central Manhattan, areas like Harlem are a lot cheaper and the subway can get you into town in about 15 mins. Have a great trip. Thanks – really hope it comes in useful, and have a fantastic time in New York, such an amazing city I’m hoping to get back for another trip next year too! I am so glad I found this blog post! I am heading off at the end of September for 10 days and there is so much amazing information here that I will use! Thank you. Great to hear it – have a fantastic time! 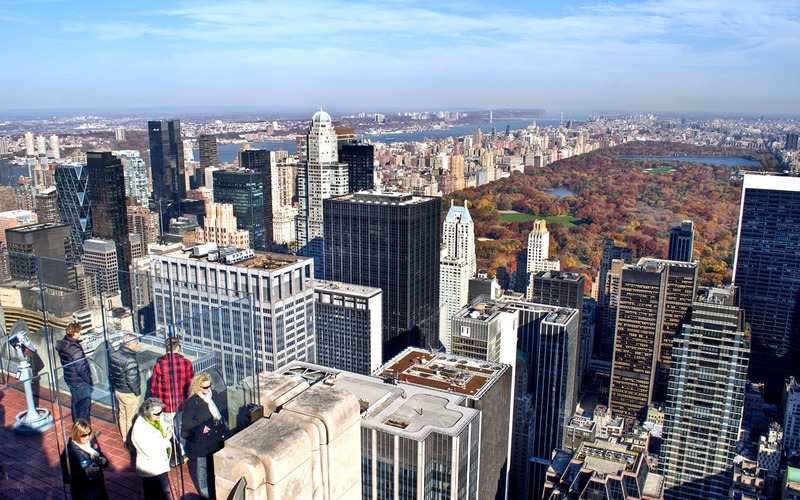 NY is my hometown, and I can honestly say that these tips are all great! For budget eats, I’d also recommend going to Bleeker Street, where you can find many shops offering free food samples, including cheese, meat and chocolate. You can also find eateries selling very cheap savory snacks, like pastries and bagels. So glad you liked the article! Thanks for the Bleeker Street tip too – I’m planning a return to New York next spring/summer so will definitely go and check it out. I liked your blog and your photos are amazing. I live 35 miles from Manhattan and love to go in to visit for the day or night. Your suggestions were great. Thanks so much, great to hear that the post came in useful! Thanks for sharing such a great guide. New York is a destination that you can either visit on a budget or have the most luxurious experiences. One can visit NYC for a couple of weeks and still not be able to cover everything the city has to offer. It’s an amazing experience. Definitely – it’s one of those places I could go back to again and again! NYC is also my most favourite one travel destination on earth. I also spent a really good time there during my last summer holidays. I really enjoyed there photography and came back with great memories. You’re very welcome – glad it was useful! Hi there, I usually stay in apartment rentals in New York (though for the best deals you usually have to go outside Manhattan – last time I stayed in Brooklyn but have also stayed in Harlem) but for good budget hotel options you can try Citizen M, The Gershwin, Gershwin, The Jane, Aloft and Z Hotels. This article was so helpful, thank you! We plan to go to New York this summer and will be using your tips! Hope you have a fantastic time! Interesting city! 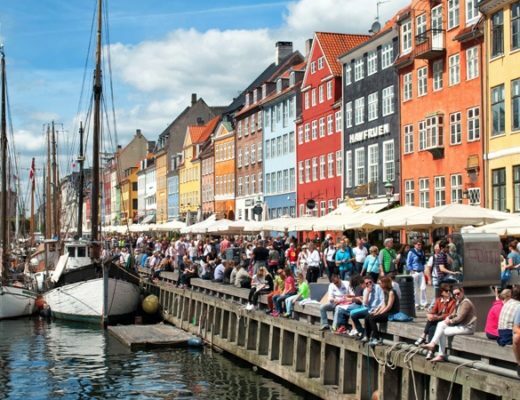 Is there a no-go neighbourhood for tourists? As big cities tend to be somehow dangerous sometimes! I’ve never had any problems in New York – most of the main areas are very busy so there are always people around. I found everything I needed here. This blog post has all the necessary information regarding this amazing city. Thanks for this post. I really enjoyed reading it. Great blog, I’m visiting Newyork next week for 10 days and I’ve added lots of your recommendations to our itinerary . Thank you for these tips Lucy! Very helpful specially the ones about the museums and parks. I’ve always thought that heading to New York would be too costly so I’ve always tended to stay away from it. But reading your post has made me realize that it isn’t always the case. Your recommendations are definitely useful. On my next travel, I’m going to include New York on my destination and will definitely build my itinerary around your suggestions. So glad it was useful! 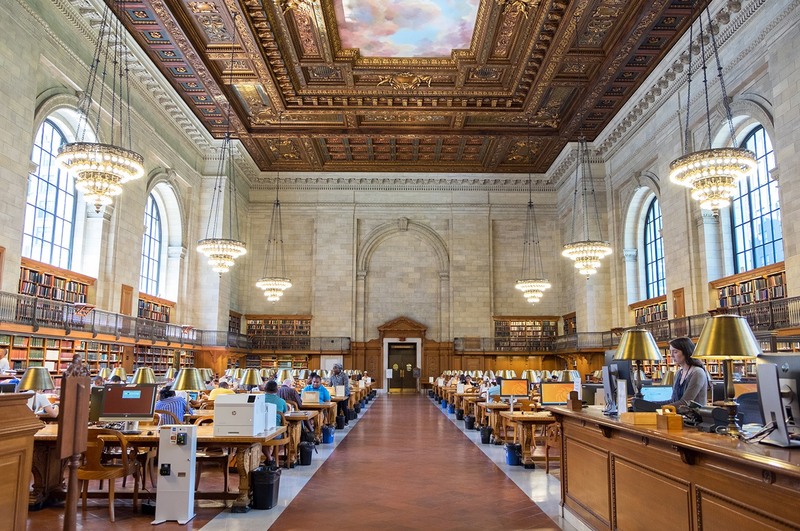 There are so many great things to do and see for free in New York you really can do it on a budget. 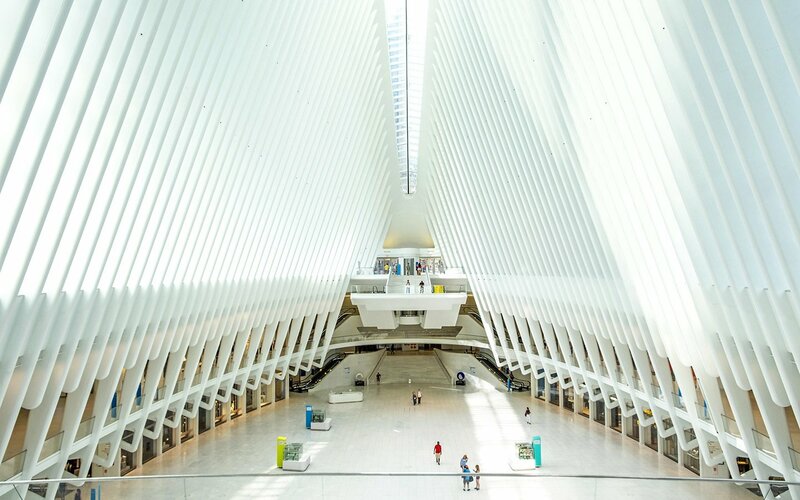 This is a very nice guide to New York, with the best photos all in one place! I live in Sydney Australia and must get there soon!